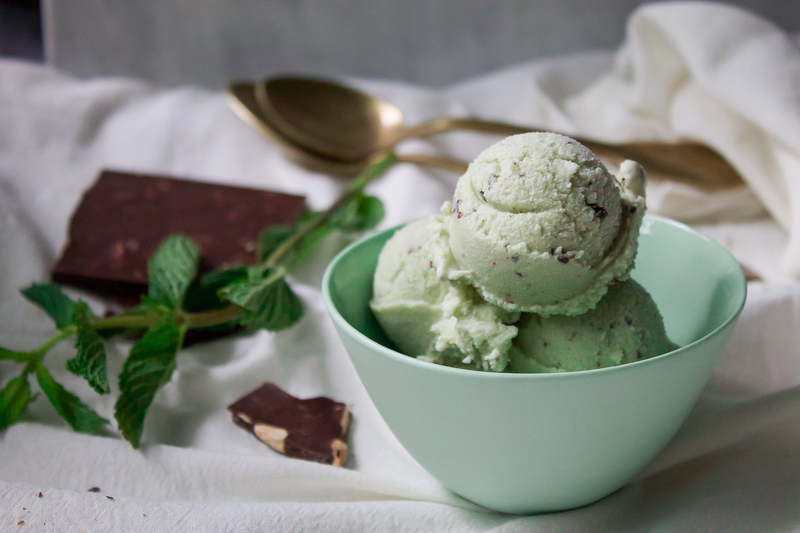 One of the hardest store bought products to find that has clean ingredients is a tasty dairy free ice cream. The sugar content is either astronomical or the ingredients have names I cannot pronounce.Due to the lack of options out there, I REALLY wanted to try making my own ice cream. I refused however to bring one more kitchen appliance into our apartment. 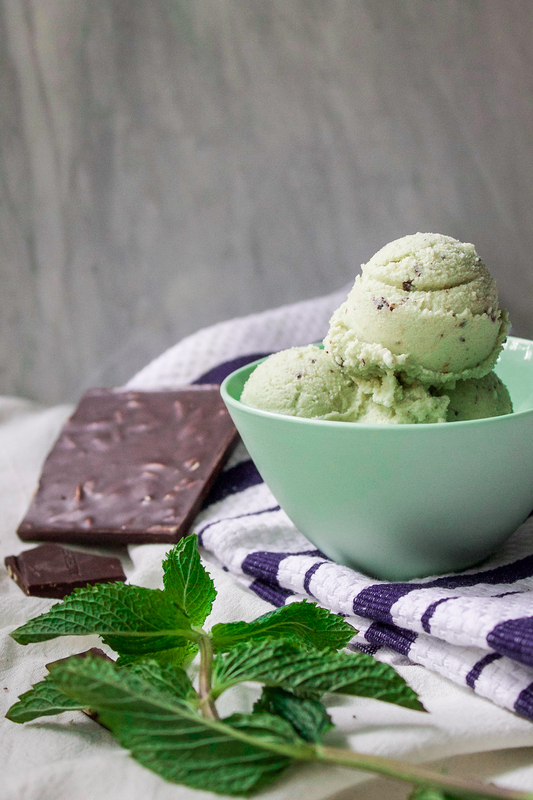 I also know I’m not the only person who does not own an ice cream maker so I thought… so wouldn’t it be amazing if we could just make it in a food processor or blender? I remembered all the times I have made ice cream by simply placing frozen fruit (bananas) into my Vitamix. 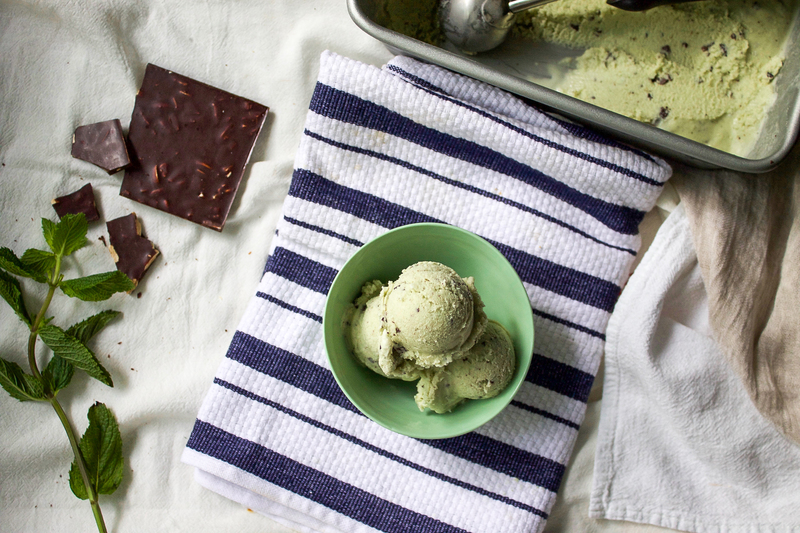 I realized I needed to get the ice cream base frozen without the machine – but how? Well, how else do you get liquids frozen? Ice cube trays! The only down side I’d say to this process is the wait time for the liquid to freeze. I recommend preparing this ice cream the night or day before you want it because it needs at least 8 hours to freeze. Once processed in the blender, it needs another 2 hours or so to set up again. But- then it lasts in the freezer for weeks and you only need a few ingredients! I am thrilled to share this recipe with you. It was one of the most exciting recipe accomplishments to date. I will note that it is refreshingly minty from the added fresh mint. You can leave this out, but I find it is what makes it taste almost restaurant quality. I hope you are enjoying your summer and of course, eating lots of ice cream! *a lighter flavoured maple syrup will work too! 1. Add all ingredients except for the chocolate into a high powered blender. Blend until fresh mint has completely blended. 2. 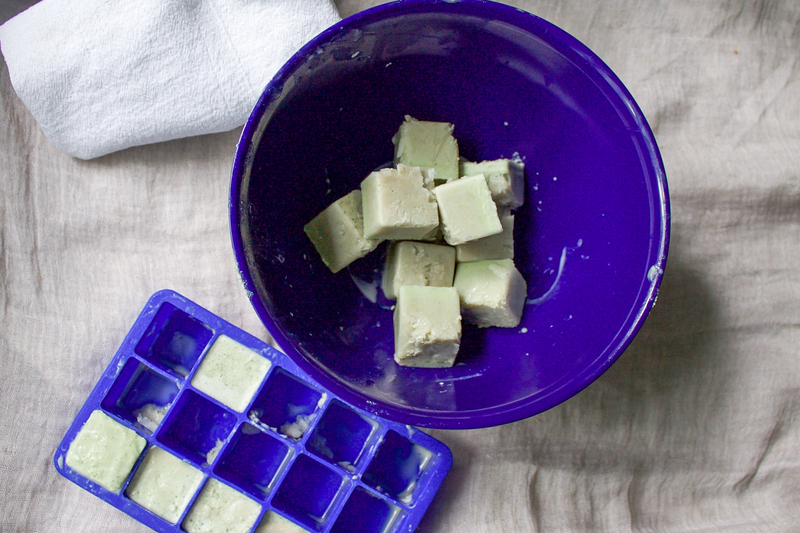 Pour mixture into ice cube trays (I like silicone ones) and freeze until solid (about 6-8 hours). 3. Once frozen solid, blend the cubes in a high powered blender (I use Vitamix) or food processor in batches. Don’t do them all at once. Blend until smooth and creamy and transfer to a loaf pan. 4. Mix your chocolate into the ice cream. Smooth out surface and place back into the freezer for up to 2 hours to re-solidify.